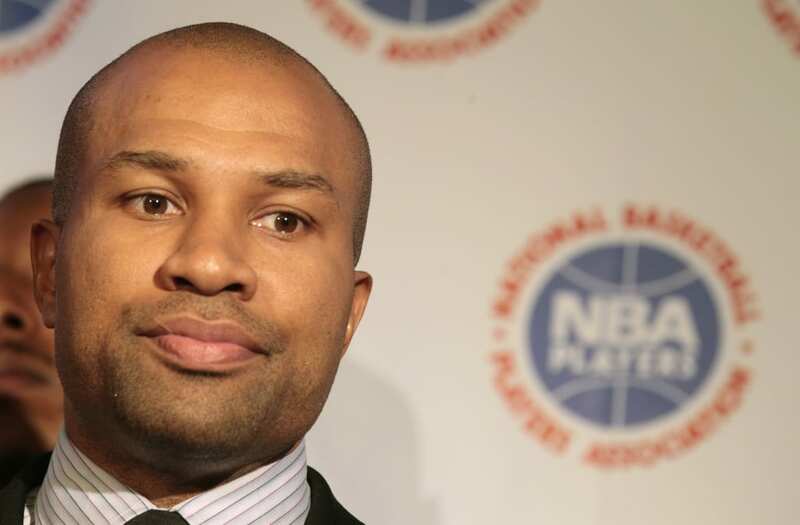 Former Los Angeles Lakers star and ex-New York Knicks head coach Derek Fisher is the latest athlete to be arrested on suspicion of drunk driving. Fisher flipped his car in the early hours of Sunday morning while driving on the 101 highway in the Sherman Oaks area of Los Angeles, ESPN reported. The NBA veteran was driving with "Basketball Wives" reality star Gloria Govan at the time of the accident, but neither of them were injured. Fisher, 42, was driving a 2015 Cadillac, the California Highway Patrol reported. His car veered onto the right shoulder while approaching an interchange, hit the concrete curb and guardrail, then overturned and landed on its roof. The Highway Patrol says officers discovered that Fisher had been drinking and he was arrested on suspicion of driving under the influence of alcohol, ESPN reported. Govan is the ex-wife of another former Lakers player, Matt Barnes, who is currently playing for the Golden State Warriors in the NBA Finals. The couple separated in 2014, with Barnes and Fisher falling out over the latter's relationship with her. Fisher was fired as coach of the Knicks in 2016, and was announced as one of the analysts for Turner Sports' new Players Only programming slate in January.